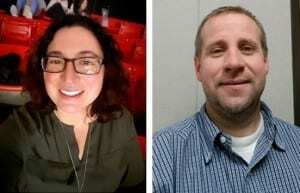 In this installment of our podcast series, CTI Spotlights, we talk with Rachel Hopkins and Shane Hurst, LMFT and of Weber Human Services in Ogden, Utah. Rachel works as the Managed Care Case Management Supervisor and Shane as the Clinical Quality Supervisor. Weber Human Services serves the populations of Weber and Morgan Counties and is organized by a cooperative agreement between the Weber and Morgan county governments to serve as the local authority for the provision of substance abuse, mental health and senior service programs to those counties. Through dozens of human services programs, WHS helps thousands of its neighbors by supporting and empowering at-risk youth, the elderly, children, youth and adults suffering from mental illnesses, and those recovering from addictions. Together, Shane and Rachel oversee the implementation and fidelity of the CTI model in their work with many low-income individuals who experience chronic mental illness in Weber and Morgan counties. Listen in to hear more about how Rachel and Shane have worked to integrate CTI into their work at Weber Human Services.